Traditional valuation multiples are calculated based on “revenue in” minus “costs” to provide “profit”, times a “multiple”. You can increase your profit margins by licensing out (i.e. 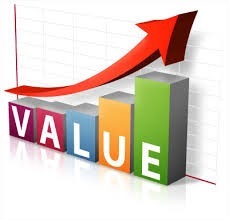 commercializing) your IP, and you’ll increase your business value “multiple”.